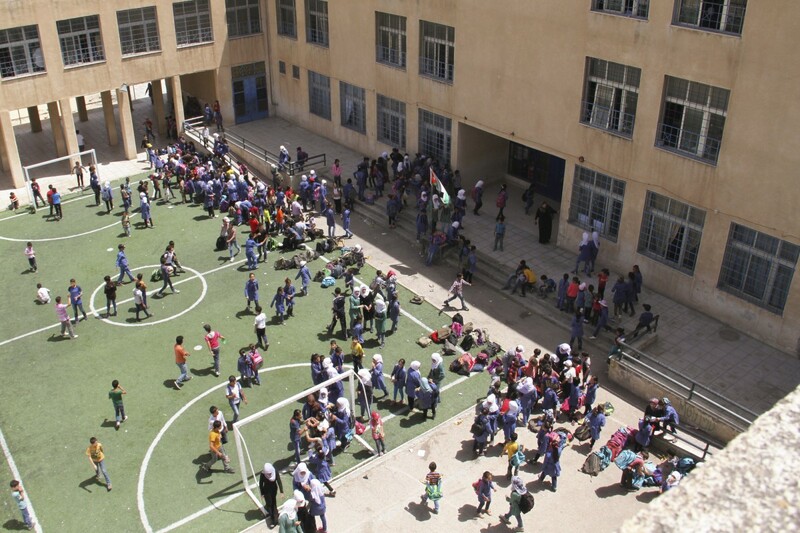 The double-shift school Al-Arqam is situated in the industrial city of Sahab, southeast of Amman. 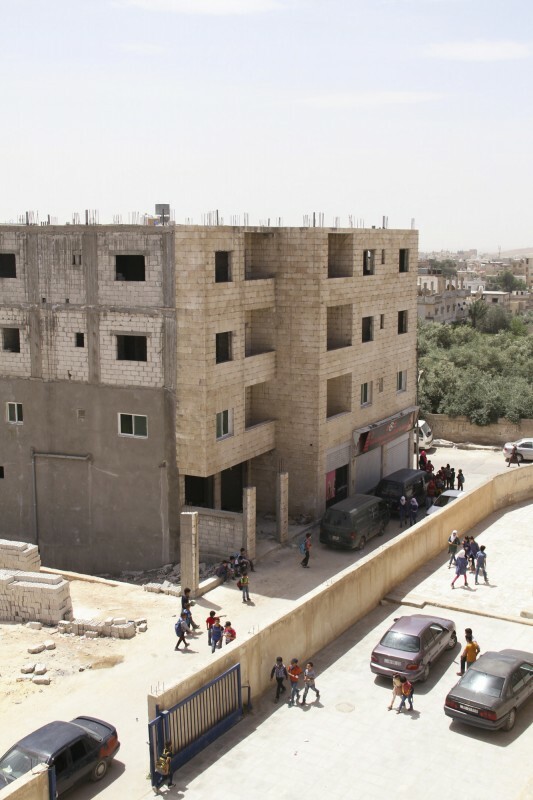 Sahab is home to many Syrian refugees and their children, as they can find work in the nearby industrial zone. 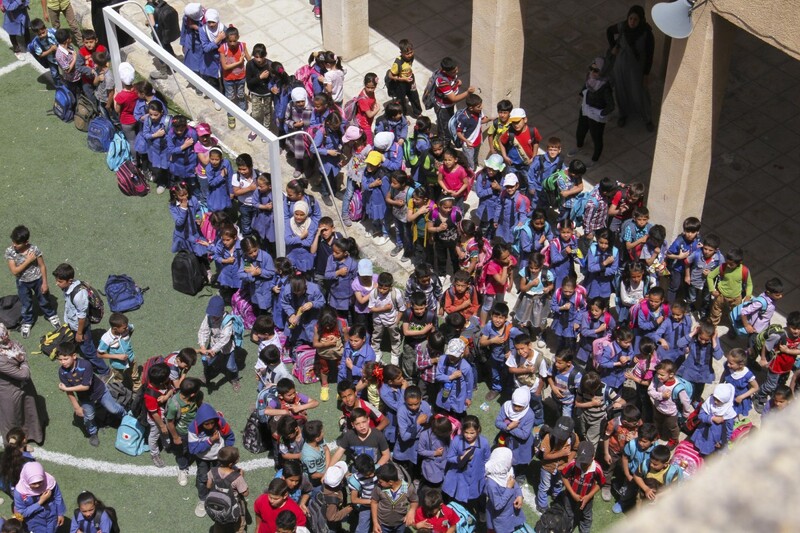 The school enrols a total of 2,019 students, who are taught in the double-shift system: 1,159 Jordanians in the mornings and 860 Syrians in the afternoons. Students attend this school from first grade through sixth grade. In total, the school has 52 classes, with an average of 39 students per class. 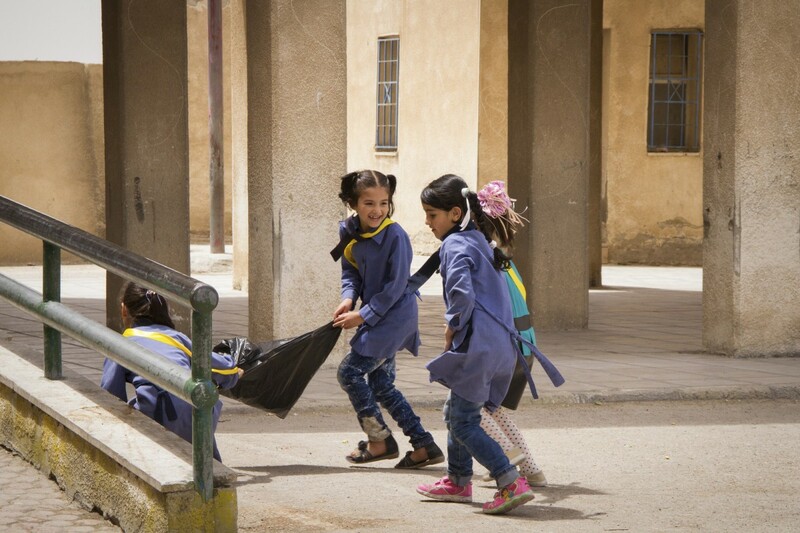 Although Al-Arqam is an all-girls school, younger students are taught in a co-educational setting. 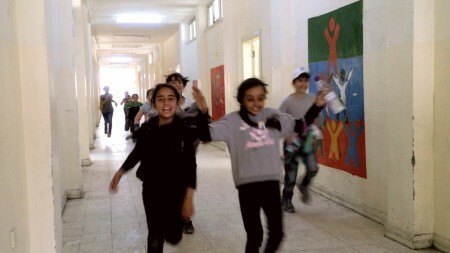 That’s why this school accommodates 760 boys, among them 335 Syrian boys. 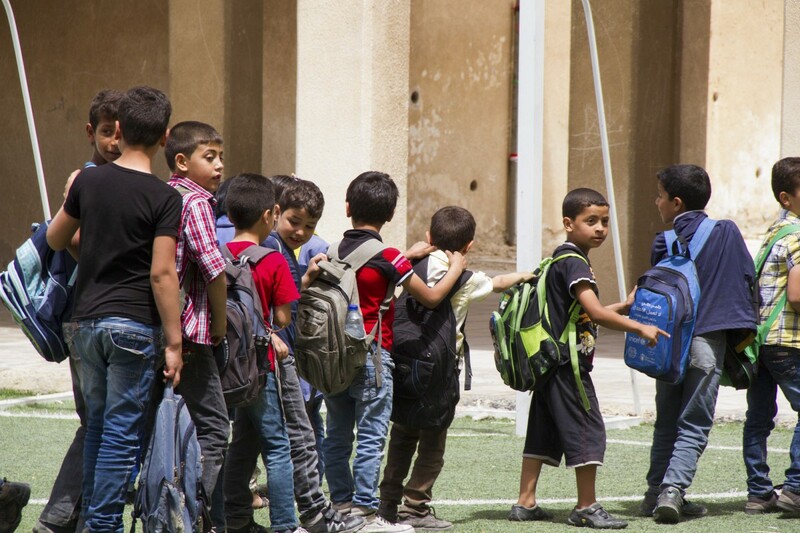 To be admitted to the school, Syrian refugee children need to be UNHCR registered: They present their personal ID, which must be issued in Sahab, and their UNHCR papers to gain admittance. The school principal Sawsan Abu Hammad warmly welcomes every new student. 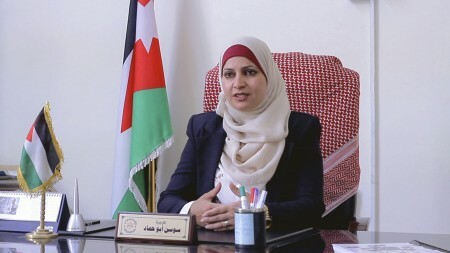 The headmaster has an important position in Jordanian schools, as a role model for the teachers and the children and as a bridge between the school and the community. Double-shift schools have a regulated daily routine. At Al-Arqam the school day starts with the welcoming ritual, which involves singing the national anthem, praying, and a speech by the school representatives. Afterwards, the students enter the school lined up by class, one after another in a disciplined manner. Having two shifts, the welcoming ritual is performed two times, in the morning with the Jordanians and at mid-day with the Syrians. At t 11:45 am, the shift change is taking place – a pivotal moment of the double-shift system. At Al-Arqam school it’s quite busy at this time. 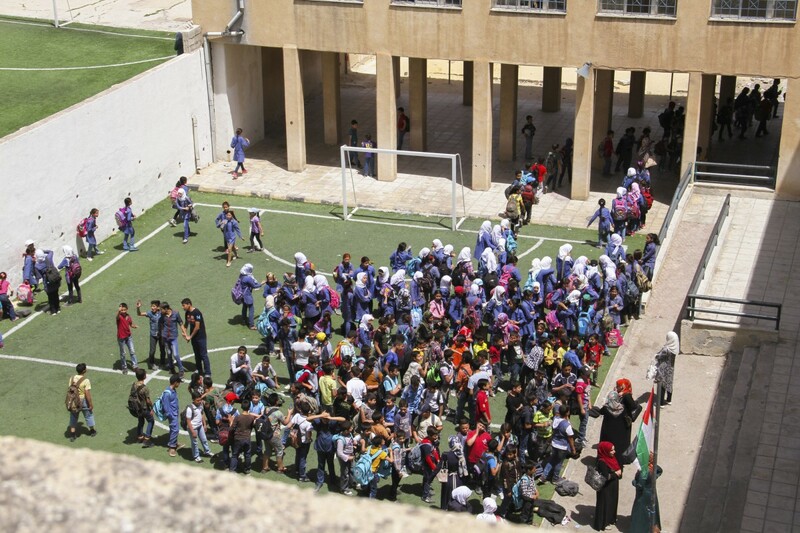 Sawsan Abu Hammad, refers to this time as the school’s “rush hour.” The Syrian students assemble in the school yard while the Jordanian students are leaving the school through the side entrance. Get a visual impression of the shift change! 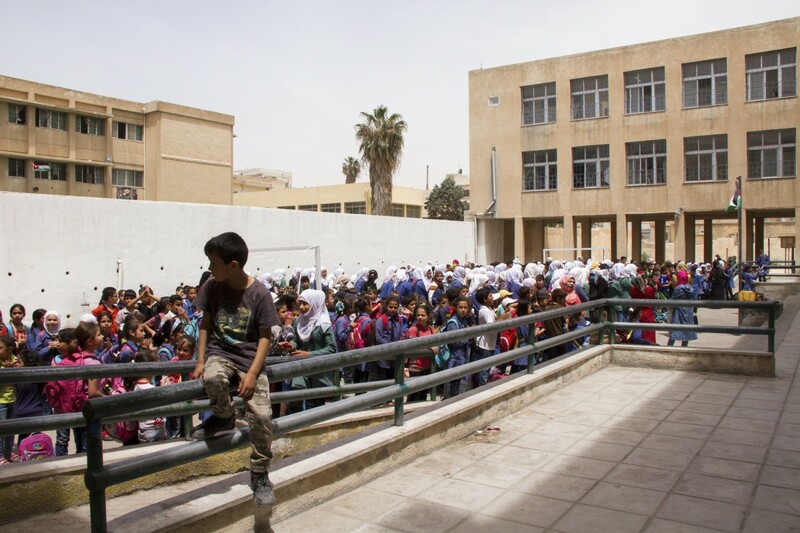 It’s very busy at the gates at this time: Syrians are entering the school to line up at the schoolyard to begin their class after the welcoming ritual. The Jordanians exit the building through the main and side entrance. At the gates carpooling Jordanian parents are waiting to pick up their children at the end of their school day. Many students are walking to school and back home often together with friends. There is much hustle and bustle at the schoolyard. Students are coming and leaving. The class representatives ensure order during the shift change. 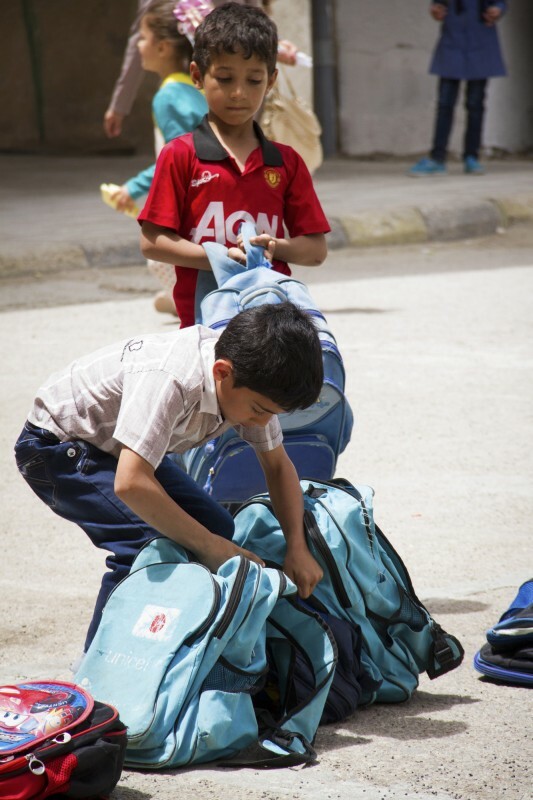 Most of the Syrian refugee students have a UNICEF school bag. 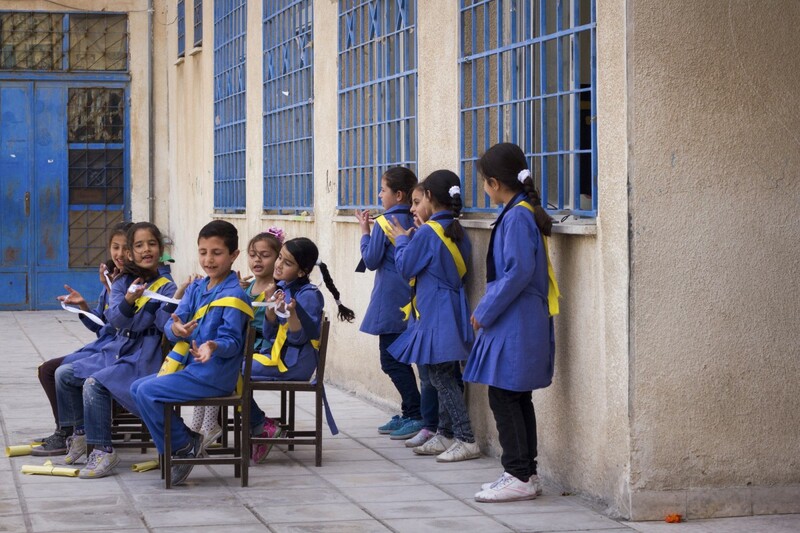 They depend on the help of international organizations to participate in school life. 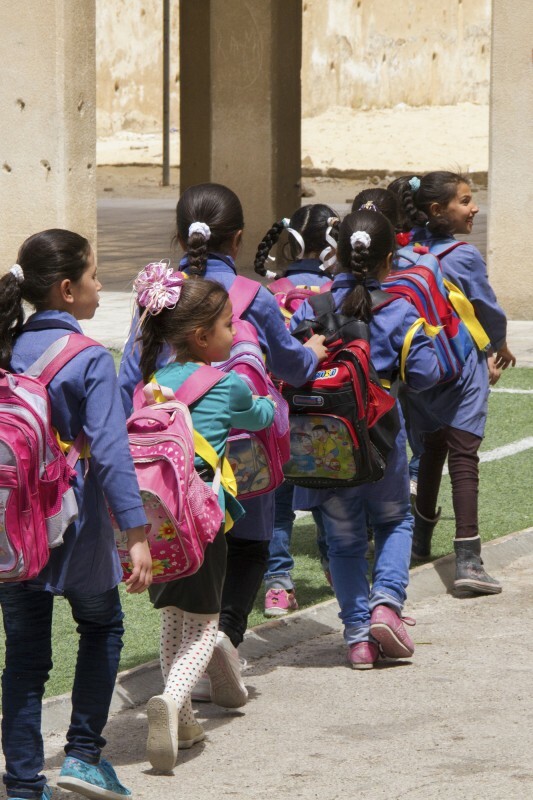 The Al-Arqam school is supported by a diverse range of organizations, not least because it is the largest double-shift school in Sahab, providing many Syrian children with education. 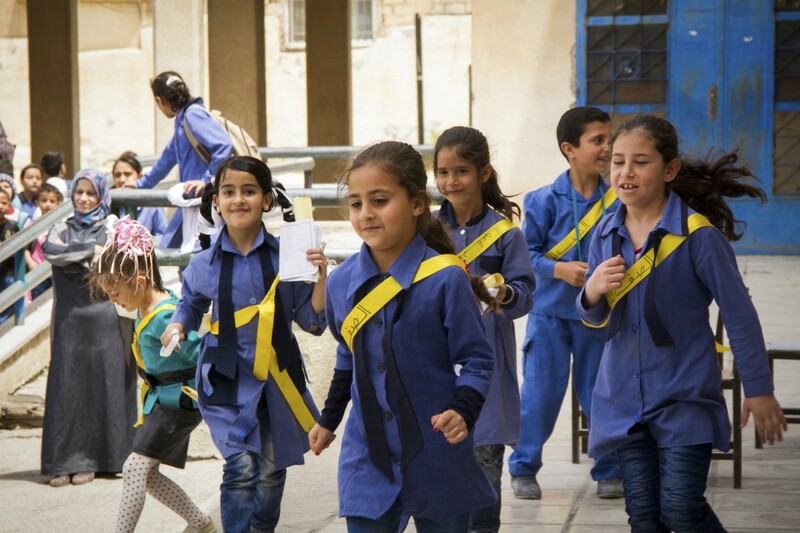 The school’s supporters include Madrasati, Save the Children International, and the Jordan Education Initiative. School communications are mostly done digitally – teachers, parents, and the headmaster write messages on WhatsApp or Facebook. The school even has its own page on Facebook where events are being posted. 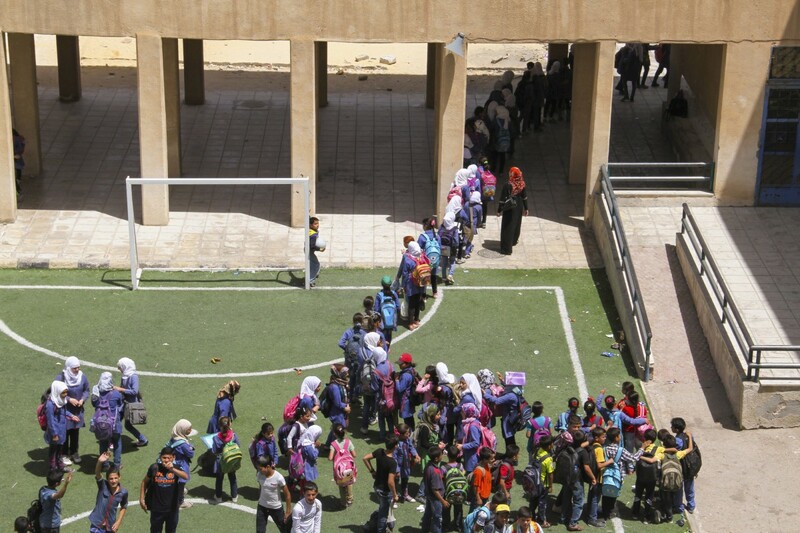 In the morning shift, there is no seventh grade, because Al-Arqam officially only has six grade levels. 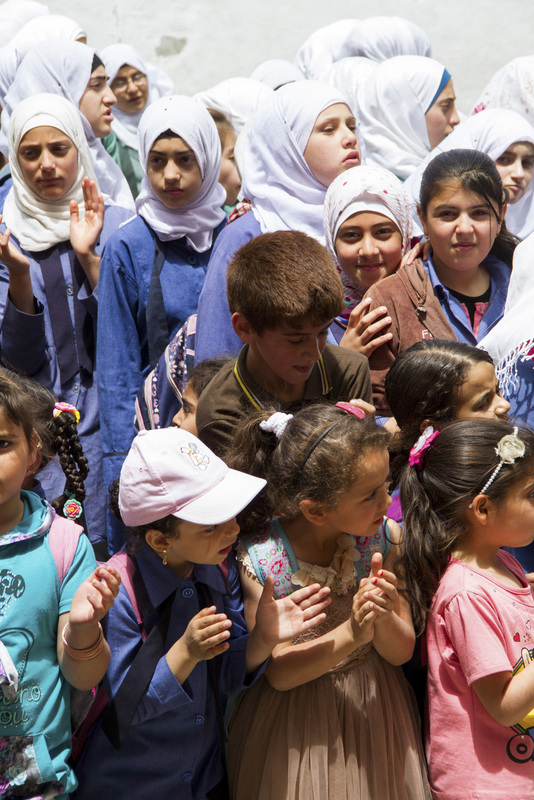 However, since many Syrian children have a gap in their educational careers, the school offers a seventh grade especially for them before they graduate. They are between 13 and 16 years old. 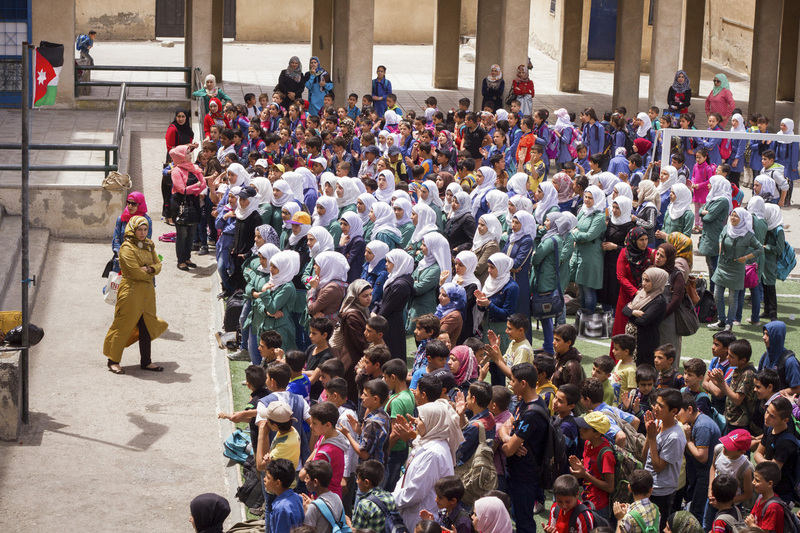 At Al-Arqam the school day starts with the welcoming ritual, which involves singing the national anthem, praying, and a speech or performance by the school representatives. 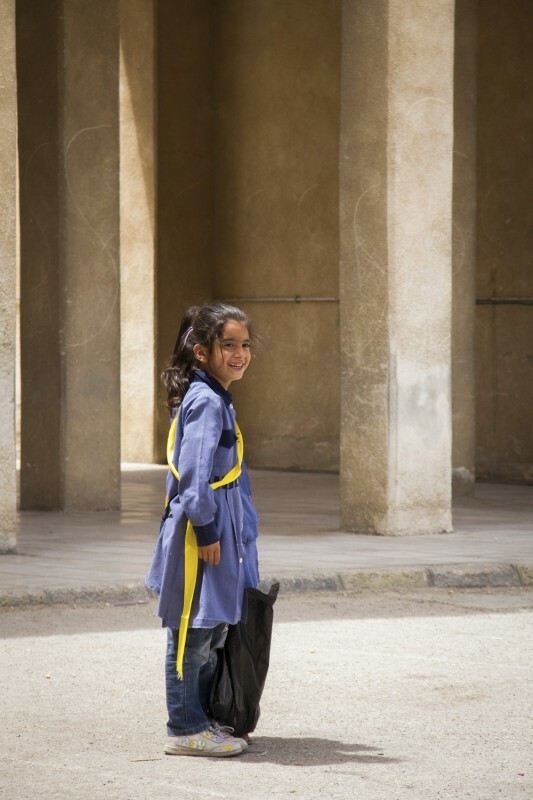 There are two school uniforms at Al-Arqam. Blue is for the younger students and green for the older ones. It’s optional to wear them. 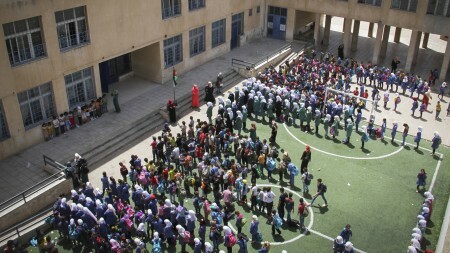 After the welcoming ritual, the students enter the school lined up by class, one after another in a disciplined manner. A group of students are responsible for the waste disposal. 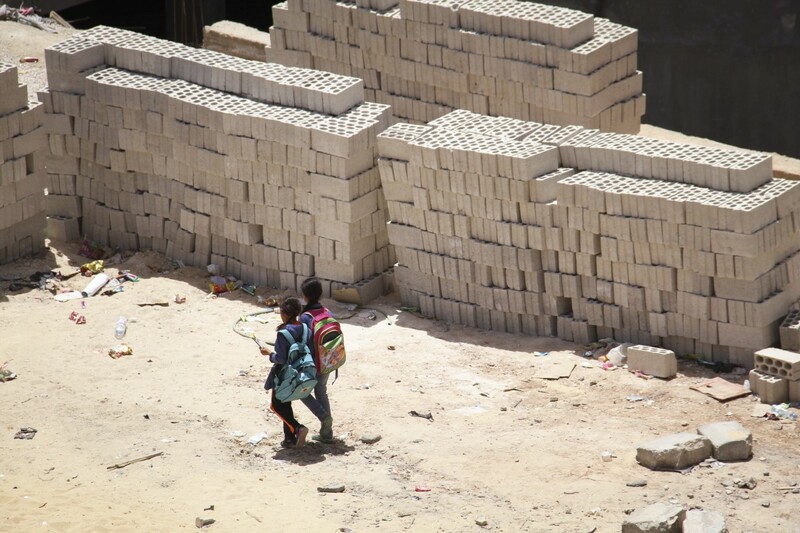 They are cleaning the school yard. Like many other double-shift school, the Al-Arqam school has responded to the influx of refugees by implementing the double-shift system. However, there are issues raised by students and teachers, including the limited linkages between the students of the different shifts and the lack of cleanness in the school. Lately the situation of the school has improved significantly, thanks to the help of Madrasati and other supporters. 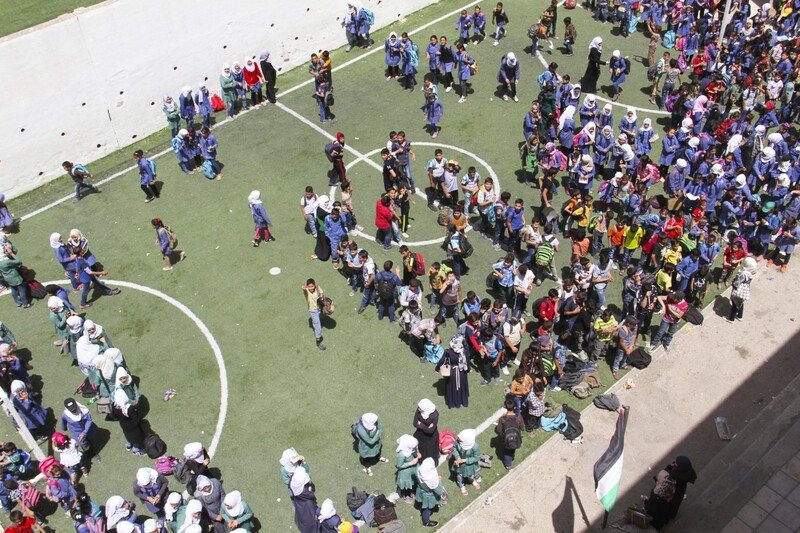 There is less violence between the students and the school’s atmosphere has improved. Many activities were initiated and a platform for integration between Jordanians and Syrians was created. 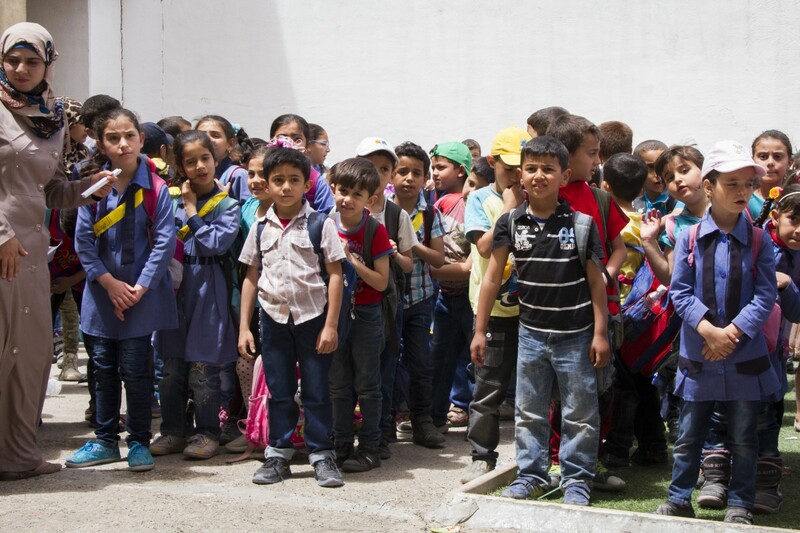 Meet the students of Al-Arqam school! But what is the students’ point of view? How do they see their school? Do they like their school? The next chapter captures the students’ voices!